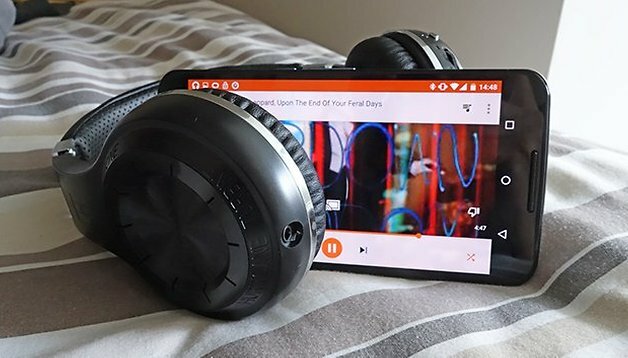 No matter how good the speakers built into your smartphone or tablet, they probably can't compete with a full-sized speaker set or some dedicated headphones for a more intimate listening experience. Thanks to the magic of Bluetooth you can easily hook up external players from your Android device. We'll show you the settings and configuration options you need to be aware of, but all speakers and headphones work slightly differently, so you'll also need to consult the instructions that came with your other hardware. Once a connection is established, it should reconnect automatically when needed. The easiest place to access the Bluetooth settings is from the quick settings panel in the notification drawer: Drag it open and tap the Bluetooth symbol to turn it on or off. Tap the drop-down arrow below the symbol to change the Bluetooth device you're connected to or to add a new device. Tap More settings for a more detailed page of options — you can reach the same screen by choosing Bluetooth from the Settings app. The top toggle shows you whether Bluetooth is on or off, and immediately below is a list of devices that have already been paired. Tap on the cog icon to the right of any paired device to rename it, forget it, or change the parts of your phone it has access to (you can use Bluetooth speakers to play your music but not your ringtones, for example). Available devices refers to hardware that offers a Bluetooth connection but hasn't yet connected to your phone or tablet. Some devices (like a computer) will broadcast a Bluetooth signal all the time unless you specifically turn it off; others (like most headphones) must be put in a special receiving mode before a connection can be made. Remember Bluetooth is used for file transfers and various other purposes as well as piping your music around. If you don't immediately see the speakers or headphones you want to connect to listed as an available device then consult the instructions that came with it — you'll probably have to press a button or combination of buttons to get in the right mode. When the device is shown in the list, tap once to connect. You may have to enter a PIN to confirm the connection, though this depends on the hardware — if a PIN is required, it should be listed in the documentation supplied with your speakers or headphones. After a few moments, you should see a confirmation message on your smartphone or tablet. Your music, podcasts and other audio will now be sent through the Bluetooth device you've connected, whether it's a set of speakers, a pair of headphones or a car stereo. If it isn't working, try forgetting the device and reconnecting again from scratch. To break the connection, you can turn off the external device, turn off Bluetooth on your Android phone or tablet, or forget the device as we outlined above. Most devices will automatically reconnect when Bluetooth becomes available again, but that won't happen if you've told your phone to forget whichever speakers or headphones it was connected to. Bluetooth is hugely convenient but it can be a temperamental technology at times — if you experience problems, make sure there are no other devices in range (like Bluetooth keyboards) that could be interfering. Disconnecting and reconnecting can usually clear up most issues. I have the Bh-23 Bluetooth speaker buoght from latestone.com/bluetooth-speakers, since I used for mobile it's good, I can simply pair with my phone, but can't pair with my laptop. I need an updated driver file for the peripheral for win7 starter 32bits. Is it necessary to have this driver any help will be appreciated.